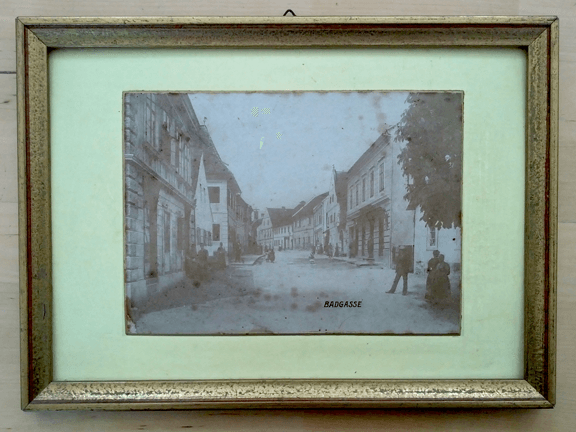 The Badgasse where our parents’ shop was back in 1887 – and still is. It’s the building on the right. Today, the Usersnap office is situated on the roof of this building. Obviously a sustainable place to run a business. Recently I had a chat with my parents about what we’re doing at Usersnap. I told them the main concepts of a SaaS company and that we use metrics to determine what works. I introduced the concept of conversion rates and tried to build a bridge to their very own retail-perspective. You have so many visitors on your site and only a fraction of them buy your software? Our conversion rate is 95%. Nothing beats customer satisfaction – it’s the most important thing. Never let a customer leave your shop unsatisfied – even if it means that you have to recommend your competitor because you can not provide a solution for the customers’ need. It is difficult to learn your customers’ need if you’re running a SaaS business – that is: you really should embrace every single opportunity a customer gets in contact with you. Respond to every enquiry as fast as you can. Leo Widrich from Buffer told me, that one of their key concepts is to reply to every email very quickly which gets them in turn even public customer love on twitter. Always understand what your customer is looking for and then get them what they want. Not more and not less. Study your customers and develop a precise feeling what someone might looking for. Understand why your visitors come to your site and what they are doing. Install an online chat such as Zopim or Olark and ask you visitors directly if they need help. Use analytic tools such as Google Analytics to learn where customers are coming from. With Kissmetrics you even get specific insights for each visitor. Learn to think like your visitors and you will understand what marketing strategy works best for your case! Your customer is happy and as a side effect you’ll get your very own view of the market you’re working in – in the end your customers build the market you are operating in. Don’t trust any market research – just listen to your customer and you get a continous market research – for free! Care about your customers and show gratefulness whenever possible. Show manners. Although that should be self-evident to every business think of your own experiences: it is still not. Treat your customers as you want to be treated. It’s as simple as that. Never push someone to buy your goods. You might make some extra revenue but finally this will reduce customer satisfaction. Always match the customers’ need. If you are selling software as a service and if you have a freemium model, chances are that you would like to convert your free users to paying customers. Don’t push your free users to upgrade, they made their choice and as long as the free package satisfy their need there is no real reason for upgrading. It’s up to you to identify customers who might convert to paying customers by means of usage statistics – approach those customers selectively and offer them a solution. Customers love to be approached by with their real names. Remember them! My father is particularly gifted when it comes to link faces with names: he remembers every single customer by name which fills his customers with wonder. With today’ tools it’s easy to place a personalized welcome message on your website: “Hi Florian, great to see you again!”. Keep in touch with emails, send valuable information – but don’t talk about your product, talk about solutions to the identified problems of your customers and let them decide, if your product fits to the problem they face. Of course, a SaaS startup is quite different from running a retail store and selling physical goods. However: it’s still a business. In the end one has to deal with customers the best way possible to be successful. All five principles can be easily adopted for a startup: the main thing missing is the direct customer contact. No matter if your business is B2C or B2B – don’t forget your customers are always real people. As Jeff Nolan puts it: “B2C and B2B are dead“. Try to understand the people buying your product and start thinking in a People-to-People model.